Homecraft® Inc. is the unbeatable choice for everything from siding and window replacement to roofing and gutters in Woodbury. Our company is built on foundation of commitment to service in all areas of home improvement, from roofing to gutters. For the highest quality replacement windows money can buy, our skilled team can install and fit your new windows as part of anything from your living room to sunroom. We give our Woodbury homeowners a wide selection of either Homecraft® vinyl replacement windows, or Andersen® wood replacement windows. Your choice. Yes, you get superior performance, but you also receive guaranteed energy savings. We are your #1 door company in Woodbury, with experts who can create a brand new entryway with weather-resistant storm doors to protect your home at an affordable price. Consult with Homecraft® Inc. for durable entry doors that are unmatched in quality. For durable and long-lasting siding, look no further than us for cedar shake siding or vinyl siding in Woodbury. No need to ever paint again! Plus, your home is well insulated and more energy efficient. Homecraft® Inc. can give you the traditional look of cedar shake siding or modern vinyl siding that needs very little maintenance. 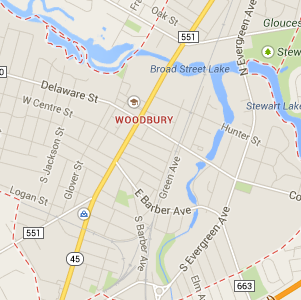 When you need roof repairs and new roofing in Woodbury, you’re in luck. Our GAF MasterElite™ roofing contractors install high-quality roofs punctuated by expert installation, backed by our “Golden Pledge™” warranty protection for peace of mind. Gutters from Homecraft® Inc. will keep your home safe from water damage because they are built to last a lifetime. Avoid pooling at the foundation with gutters that encourage the smooth run-off of rainwater. Home improvements add value to your house, making for a solid investment that will pay off down the road. Our home improvement team helps you flesh out ideas and designs to make the end result a reality. Thanks to top quality installation and 100% customer satisfaction, you can get peace of mind when it comes to making economical home improvements. FREE Estimates on Woodbury Home Improvement, Windows, Doors, Siding or Roofing. Call Homecraft®, Inc., today at 1-877-494-0377 to schedule a FREE in-home consultation and estimate for your Woodbury home improvement project, roofing, siding, replacement windows, doors, or gutters.